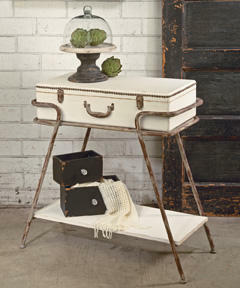 Suitcase Console Table - Tripar International, Inc.
Decorate any room with this unique Suitcase Console Table. 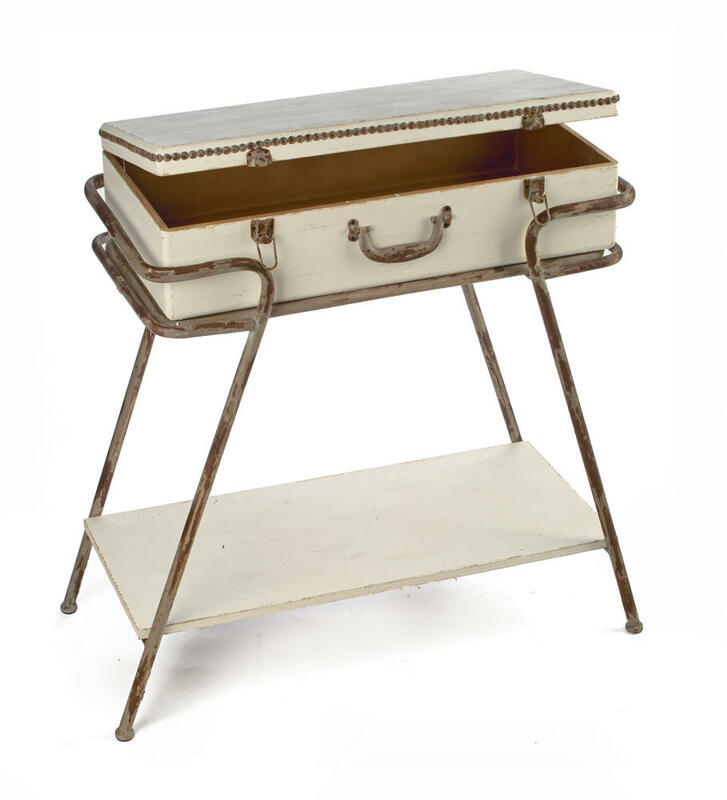 This fun wooden piece features a distressed cream painted finish, decorative metal accents and ample inside storage space. 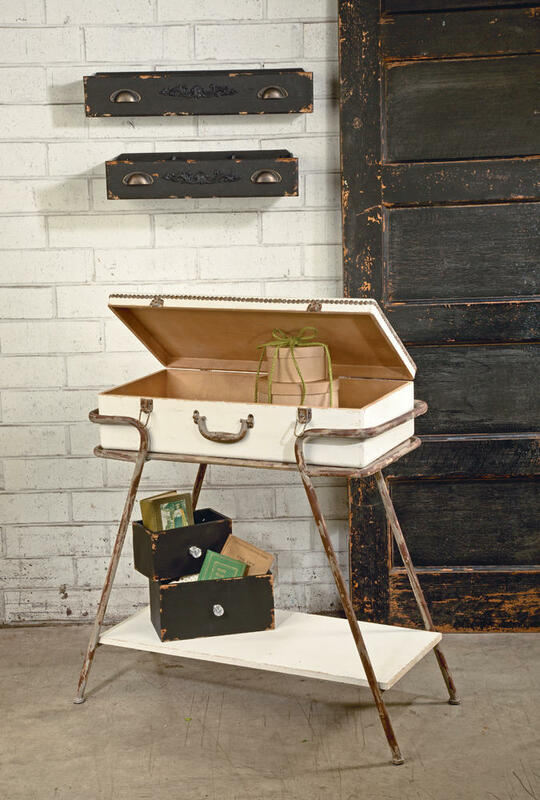 Use it in your entryway or living room to accent your decor and add storage, or in the bedroom for jewelry and other accessories. The bottom shelf allows for displaying frames and artwork or additional storage. 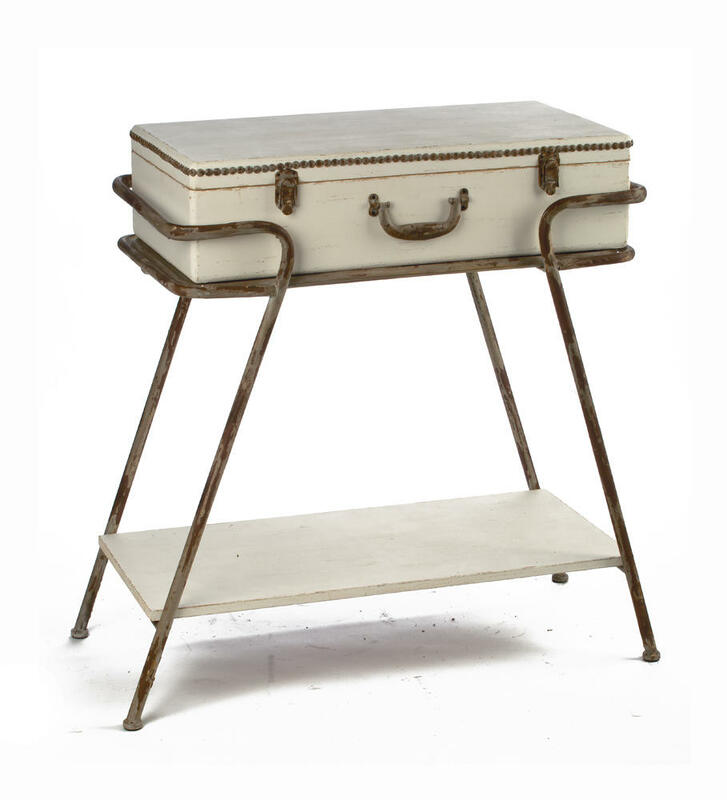 The Suitcase Console Table is a great piece for adding a fun elegant touch to displays. Display the suitcase open with product inside, or close the lid and place product on top. 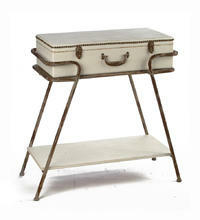 This piece looks great with jewelry stands, clothing, beauty products, blankets and more. This display is perfect during peak travel seasons, summer vacation, and any other day of the year. 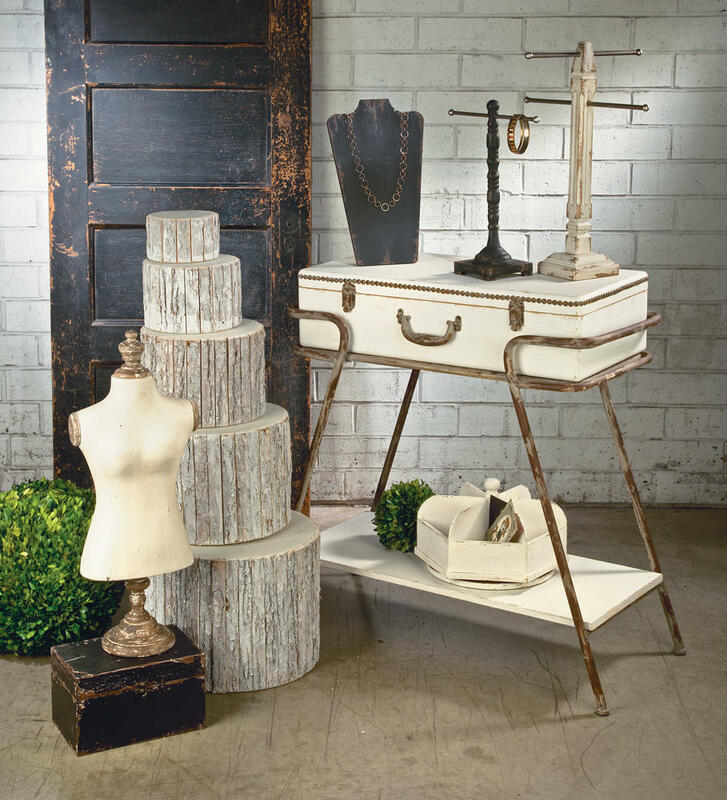 Resell the console table for unique home decor.